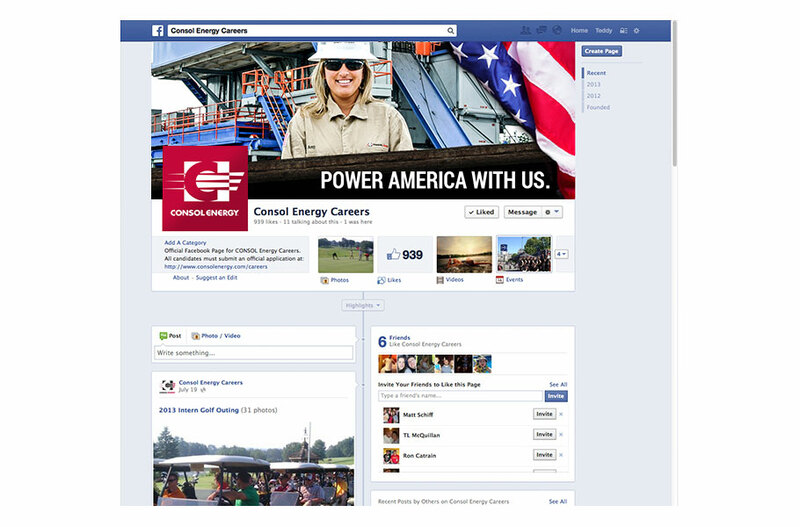 CONSOL Energy was looking for a print and social campaign for their career development department. 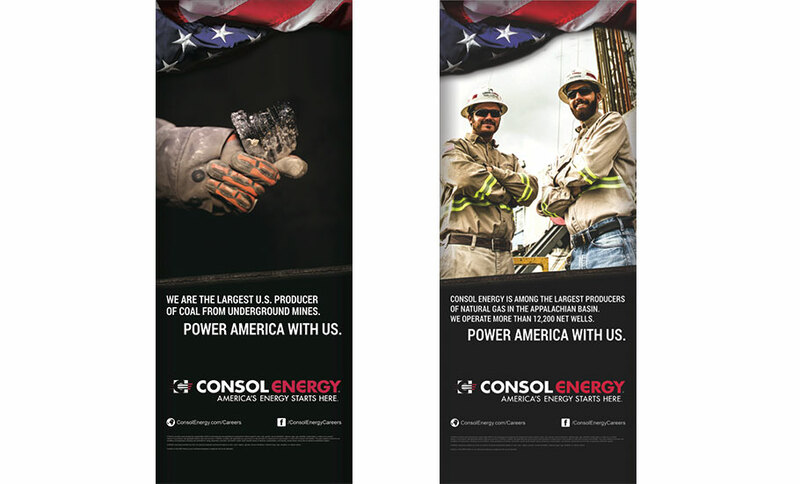 Created two large scale banners to accompany their booth and recruiting team during career events. 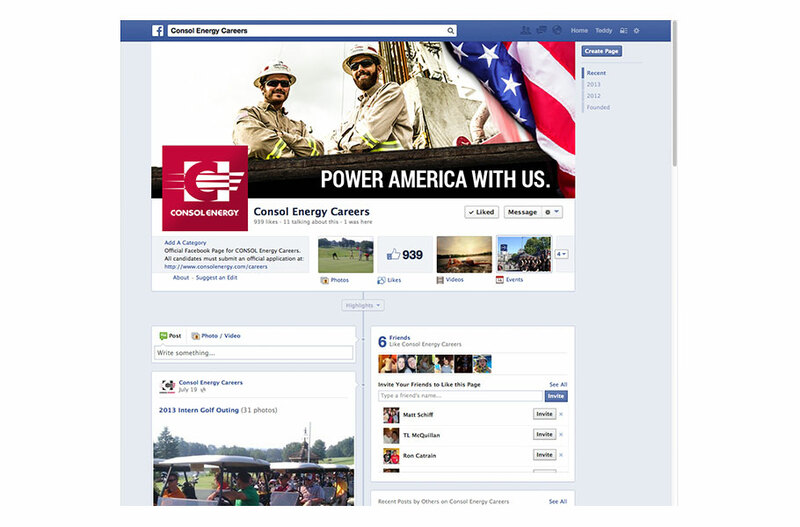 Also spiraled this concept onto the CONSOL Careers Facebook page. A digital banner campaign, and profile images were needed. 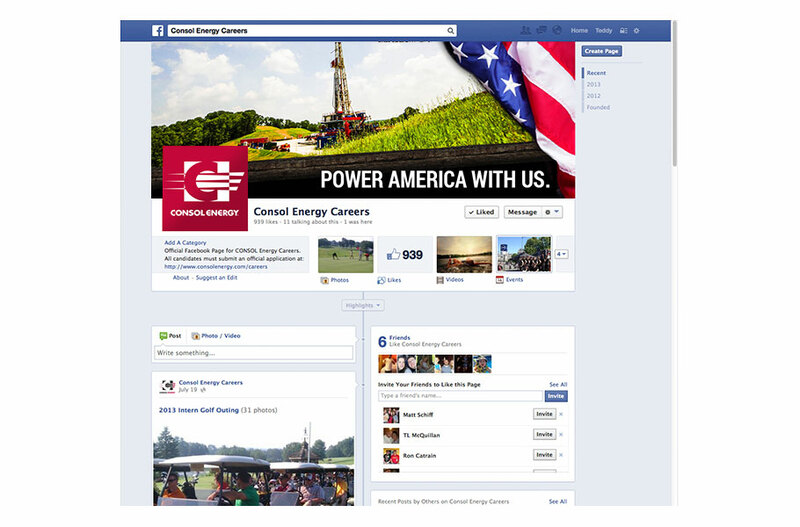 As well as a custom Facebook application portal. 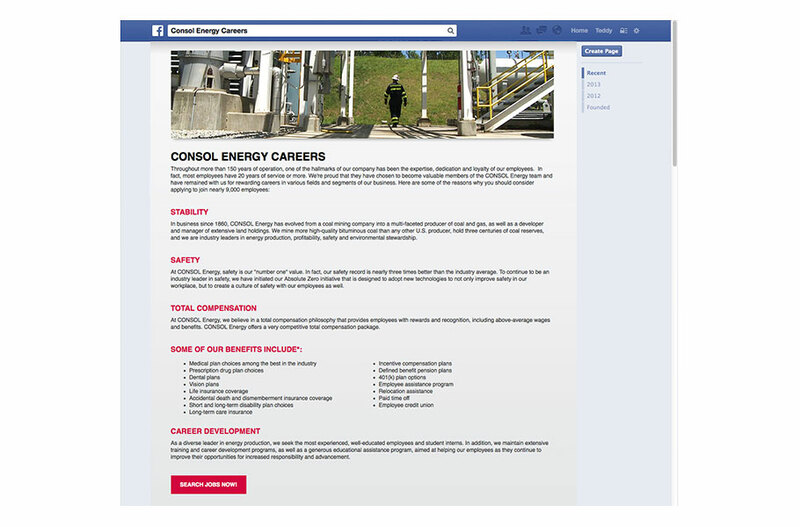 This allows users to apply for career opportunities right from their Facebook page. Two large scale banners to accompany their booth and recruiting team during career events.